When Judy Plock looked out her second story window, you can imagine the horror on her face when she saw people jumping from her neighbor's balcony into his pool. DENVER -- When Judy Plock looked out her second story window, you can imagine the horror on her face when she saw people jumping from her neighbor's balcony into his pool. "It looked like a fraternity party. There were probably 20 or 25 people and they were enjoying the backyard, it’s wonderful. There’s a hot tub and swimming pool and they were having a wonderful time," said Plock. Plock wasn't having such a wonderful time as she watched a group that she describes as a "lively bunch of men." "Well, I said, 'for heaven's sake!' and then we found out it was a short-term rental after all," said Plock. The house is listed as the Marion Manor on several short-term and vacation rental sites. One page advertises it as a "$5 Million Country Club Estate" including a pool, hot tub, gym and 7,700-square feet of luxury. According to the listing, the home can sleep up to 15 people and has six bedrooms. Neighbors went to the city after they felt like the home was turning into a hotel. In fact, when you type the address into Google Maps the property shows up as a boutique hotel. "Judy said, 'you know, I think it’s an Airbnb' and then it was less charming when someone is making money off of creating noise in the neighborhood," said Anne Stern, a longtime neighbor. The issue goes beyond the constant stream of guests, the noise and parties; Stern and others believe the homeowner isn't following Denver's rules regarding short-term rentals. The City of Denver says your home must be a primary residence in order for it to be listed as a short-term rental. The Department of Excise and License defines primary residence as, "a residence which is the usual place of return for housing as documented by at least two of the following: motor vehicle registration, driver's license, Colorado state identification card, voter registration, tax documents, or a utility bill." They go on to note that a person can only have one primary residence. “We’ve had complaints about this one individual Airbnb operator, short-term rental operator and as a result of that, the city of Denver is taking action to potentially revoke that license or have some penalties against that person," said Eric Escudero, a spokesperson for Excise and License. 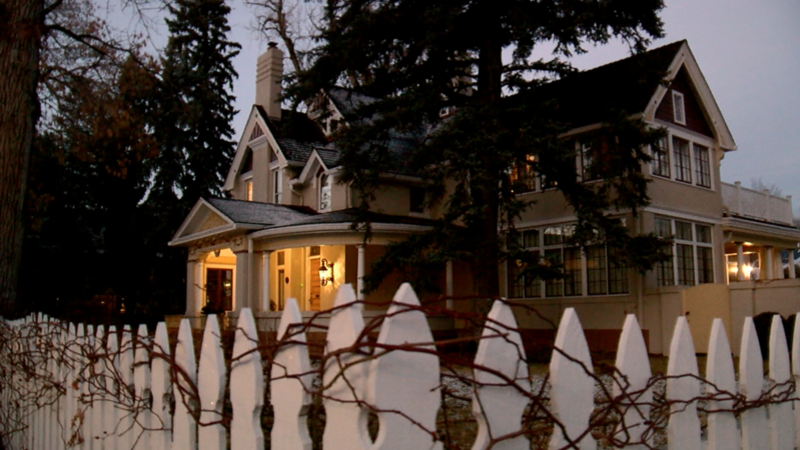 Denver is currently investigating complaints about the Country Club mansion and whether or not it is the owner's primary residence. The city held a first-of-its -kind hearing on January 17 to determine if the owner is following the rules. Neighbors and the owner testified before a hearing officer but a decision has not been made yet. That hearing officer will issue a recommended decision and then the Director of Excise and License will issue a final decision. "We want to make sure we do everything we can to make sure people are following the rules," said Escudero. What does the owner have to say? Denver7 searched property records and found out a man named Garth Yettick owns the home on Marion Street. His name is also listed on short-term rental sites where he describes himself as, "the owner and primary resident at Marion Manor, a home I purchased in 2004." Reporter Liz Gelardi called the number listed on Airbnb and left a message. She also called Yettick's personal assistant to ask if the home is his primary residence but no one has returned those calls. Then she went to the home and knocked on the door, someone answered but it wasn't Yettick. A woman who answered the door explained she was renting out the home for the week. She stated she never met Yettick and his assistant seemed to take care of everything related to the home. Property records also show that Yettick owns a condo in the heart of Cherry Creek North. Denver7 went to that address and asked to speak with him but staff at the complex would not say if he lived there. In the meantime, the Marion Manor is still listed as a rental and neighbors seem convinced they know who's living at the home and who isn't. "Well, I think someone is living there in terms of rentals, there’s a lot of rentals. In the summer it’s pretty much full time, it’s not just the weekends, so someone is living there, whether he is living there or not I would say no, I don’t think so," said Stern. Short-term rentals are a rapidly growing business. Denver recently hit a new milestone with 2,411 properties registered. The city expects to implement new rules sometime in early February after hearing feedback from residents. "We want to have the ability to take enforcement action for bad operators who are effecting the safety and well being of a neighborhood; these new rules will help us do that," said Escudero. It clarifies the language for the grounds on which a license application can be denied or revoked, including failure to comply with city or state laws. New insurance requirements, including maintaining a liability insurance to cover use of the short-term rental of no amount less than $1 million. Some online short term-rental providers include this in their services. The short-term rental owner must inform their insurance company the property will be used as a short-term rental. If the property being used as a short-term rental is part of a home owners association, the applicant for a short-term rental license shall inform the home owners association it is being offered as a short-term rental.